NASHVILLE, TN — Legendary radio personality Tom Joyner will deliver the undergraduate commencement address during Tennessee State University’s spring graduation on May 6. More than 800 students will receive degrees in various disciplines at the ceremony in the William Jasper Hale Stadium on the main campus. 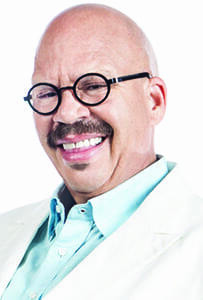 The ceremony begins at 8 a.m.
Joyner, host of the nationally syndicated radio program, The Tom Joyner Morning Show, is a graduate of Tuskegee University. An entrepreneur and philanthropist, Joyner is a champion of historically black colleges and universities. His foundation, the Tom Joyner Foundation, supports HBCUs with scholarships, endowments, and capacity building enhancements. Since its creation in 1997, the foundation has raised more than $65 million to help students stay in school. Last year, the foundation selected TSU to be a “school of the month.” Under the designation, the foundation awarded scholarships to students throughout the month and featured TSU’s accomplishments on Joyner’s weekly morning program. Also last year, the foundation entered into a partnership with TSU to help students interested in science, technology, engineering and math. 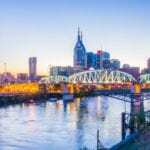 According to the agreement singed at a news conference in Memphis, Tennessee, students graduating from five Tennessee community colleges will receive full scholarships to attend TSU. The Tom Joyner Foundation will provide 75 percent of the scholarship funds, and the rest will come from the NSF funded Tiger Teach Initiative and TSU’s Office of Community College Initiatives. On a personal note, Joyner is not a stranger to TSU. His mother was raised at then Tennessee A&I State College by his great aunt, Jane Elliott Hall, after whom the Jane Elliott Building is named.